Cowabunga dudes and dudettes!! 'Rise of the Teenage Mutant Ninja Turtles' has been nominated for a Daytime Emmy Award for Outstanding Children's Animated Series! Congratulations to the other nominees and of course our AWESOME 2D Animation Team! Very proud of our incredible 2D Animation Team, all the hard work has lead to Rise of the Teenage Mutant Ninja Turtles being nominated for a Daytime Emmy Award! EXCITING NEWS FROM OUR STUDIOS! Animated co-production with Australian production company Studio B Animation, in association with Flying Bark Productions, is planned to hit cinemas in 2020/2021. Check out all the details on Animation World Network! There will be more teasers and other exciting goodies to share throughout 2019, so watch this space. Have you ever wondered how the show was animated? Check out this great video by the Nickelodeon team when they came to visit our studios earlier this year. Ant Ward, co-executive producer at Nickelodeon, takes you on a tour of the Flying Bark studios in sunny Sydney, Australia where all the animation happens. Barker's Wow fans at Vidcon in Melbourne! This awesome duo, wowed everyone with their amazing talent at Vidcon! Rocking it at the Nickelodeon booth for TMNT, Kit and Christian brought their game faces. Vidcon is the world's largest event for online video! First held in July 2010 in Southern California the event has become a huge hit for those wanting to meet both creators and viewers of the online video industry. Read all about the event here! August 30th was jam packed at the Chauvel Cinema in Paddington as a large crowd attended the AEAF Awards. Flying Bark and Studio B Animation won the Silver Award in Feature Film Animation for 'Maya the Bee: The Honey Games'! Check out all the news here! The honey's on us guys! MAYA THE BEE: THE HONEY GAMES WILL PREMIERE AT SYDNEY FILM FESTIVAL, 6-17 JUNE! The 65th Sydney Film Festival announced a sneak peek of this year’s essential viewing, including the premiere of Maya THE BEE: The Honey Games, to be featured in this year’s 6-17 June event. After the huge success of the first film, Maya the Bee - First Flight with almost 5 million cinema goers worldwide, our plucky bee is ready to conquer the world with her second movie, The Honey Games. 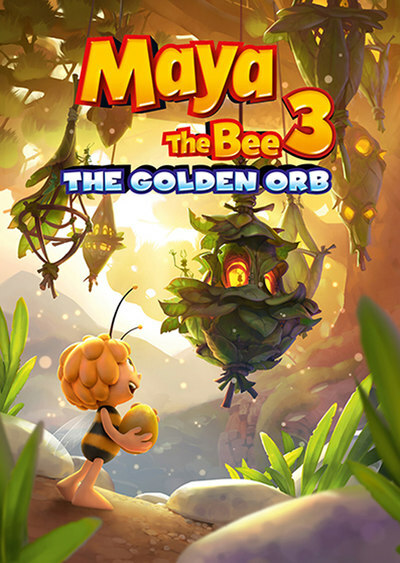 In this new Maya the Bee adventure, the overenthusiastic Maya accidentally embarrasses the Empress of Buzztropolis, then is forced to unite with a team of misfit bugs and compete in the Honey Games for a chance to save her hive. Maya the bee: The Honey Games is a new family adventure, for kids aged three and up – voiced by an all-star Australian cast including Richard Roxburgh, The Umbilical Brothers’ Dave Collins and Shane Dundas, and Justine Clarke (ABC’s Play School) – from Australian animation veteran Noel Cleary (Blinky Bill). The national cinema release will commence July 26th, but if you can’t wait until July, head to the Sydney Film Festival website to find out preview dates during the Festival. Screen Australia, in association with Screenwest and Create NSW, have announced production investment for animated feature 100% Wolf from Flying Bark Productions. 100% Wolf is based on the book of the same name by Western Australian author Jayne Lyons. The film will be directed by Alexs Stadermann and has been adapted for the big screen by longtime collaborator Fin Edquist, with Barbara Stephen and Alexia Gates-Foale producing. The animated feature tells the story of Freddy Lupin, heir to the leadership of a proud family line of werewolves. Positive he'll become the most fearsome werewolf ever, Freddy is in for a shock when on his 14th birthday his first ‘warfing’ goes awry, turning him into a ferocious… poodle. The pack elders give Freddy until the next moonrise to prove he has the heart of a wolf, or risk being cast out forever. With the help of an unlikely ally in a streetwise stray named Batty, Freddy must prove he's 100% Wolf. Studio 100 Film has released a new teaser trailer for its upcoming theatrical feature Maya the Bee – The Honey Games in the nick of time for the Cannes film market. The Munich-based company is handling international sales for the sequel, which is due for delivery by December 2017. New sales agreements for the film have also been cemented. Filmax has acquired theatrical, TV and home entertainment rights for The Honey Games in CIS territories, while Garsų pasaulio įrašai has likewise acquired the film for Lithuania, Latvia and Estonia. The second Maya movie has so far sold to 110 countries. 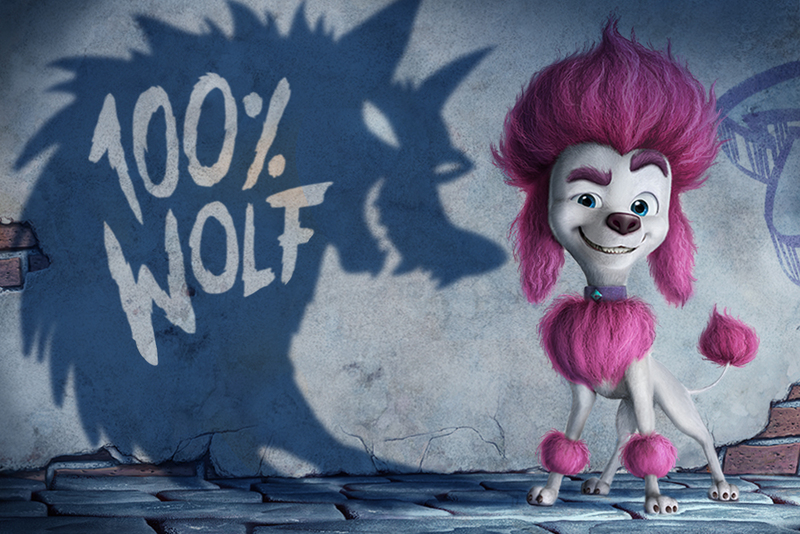 Munich-based Studio 100 Film will present a new, comedic take on horror movie classics at this year’s Marché du Film in Cannes with 100% Wolf — a CG family feature based on the popular Australian children’s book by Jayne Lyons. The project is being produced by Aussie studio Flying Bark Productions, with Studio 100 Film as worldwide sales agent. Flying Bark wins Premier’s NSW Export award! Flying Bark Productions managing director Barbara Stephen has been named winner of the NSW Women in International Business category at the 2016 Premier’s NSW Export Awards. The announcement was made at a recent event in Sydney hosted by the Export Council of Australia. Showcasing New South Wales’ top exporters across 22 categories, the 2016 Premier’s NSW Export Awards acknowledges businesses and individuals for the role they play in supporting Australia’s strongest state economy. The content from Flying Bark Productions has travelled across 170 territories worldwide.